We have a 2017 model Fiat Ducato 2.3 base vehicle with a Euro 6 engine. I am having difficulty finding a Catalytic converter lock to fit the vehicle. I have contacted a supplier of cat locks, who inform me that even tho they supply locks for the Euro 4 and 5 engines, they don't for the 6 (which wouldn't fit). any help out there? Have you tried Catloc? I don't know the situation with Euro 6, but I have one of their locks on my Euro 5+ and it has a fair degree of adjustability in both the circumference and orientation of the shield that fits around the cat. They also make universal fitting kits. Because the converters contain traces of valuable metals they have a value as scrap. It is not uncommon for thieves to cut them from vehicles and weigh them in at scrapyards. Not so much of an issue as it was since tightening of regulations relating to scrap metal dealers and payment of customers, but the opportunity to dispose of them via a backdoor still exists. There have been instances of rows of vehicles being targeted in business yards or on dealer forecourts, as well as private driveways. The thief may get a tidy sum in his pocket for a few minutes work, particularly for a fairly new cat, but nowhere near the £1K or thereabouts it costs the victim to replace it and repair the vehicle. Thanks Deneb. Looking at the photos of the CatLoc online, and looking at the location of the cat on the MH, it appears to need more space around the cat to fit. 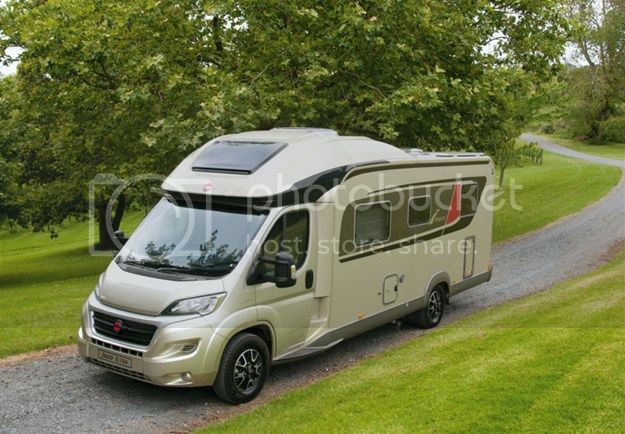 I contacted ProtectAvan and they said they supply for the Euro5 engine and before, but not the 6 due to the restriction. I wonder if other Euro 6 users have fitted a lock? Can't help with that, but the guys at ProtectaVan generally know what they're talking about. There was another make of cat lock - can't remember what it's called offhand - which consisted of brackets that clamp around the exhaust at both ends of the cat, with a web of steel cables threaded back and forth between them and surrounding the cat, such that any attempt to cut through them with a circular saw would wrap them around the blade and likely cause more injury to the offender than the vehicle. It was fairly expensive in comparison though, but I wonder if that would fit. There was another make of cat lock - can't remember what it's called offhand - which consisted of brackets that clamp around the exhaust at both ends of the cat, with a web of steel cables threaded back and forth between them and surrounding the cat, such that any attempt to cut through them with a circular saw would wrap them around the blade and likely cause more injury to the offender than the vehicle. It was fairly expensive in comparison though, but I wonder if that would fit. Thanks Sydney1, looks promising, will check it out. Still waiting for call back from Fiat techies. Not what I envisaged witzend. The pointy end will puncture the pipe. Very funny though!!??? ?